Zimbabwe, Victoria Falls National Park. 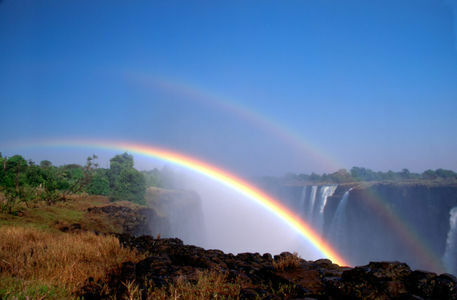 Double rainbow over Victoria Falls. Genesis 9, all people are born to live forever and telepathic. Prayer is a telepathic practice.